The automotive industry is one of the most complex environments for a product developer to operate in, for several reasons. First of all, there’s the immense complexity of the product itself: even a standard family today contains hardware, embedded software, and service components, each of them very sophisticated. Therefore, several R&D, engineering, development, and testing departments, as well as 3rd party suppliers are working on a single automotive product, often in teams distributed across the globe. The high number of product variants to enable mass customization adds a further challenge. With the emergence of self-driving technology, a need for software expertise forced traditional automotive developers to join forces with tech companies. Agile and DevOps are becoming standard methods to accelerate automotive software development, adding pressure to an already challenging environment. All the engineering disciplines, departments, suppliers, and processes involved in this lifecycle rely on their tried and tested tools to carry out their share of development. The result? A fragmented software toolchain that leads to siloization across the automotive value stream. This division between stakeholders and processes in automotive development limits collaboration, and results in extra costs, longer development times, and an increased risk of error. 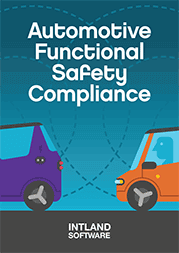 If that wasn’t enough, stringent regulations on automotive functional safety require developers to ensure traceability, transparency, and process visibility across the product development lifecycle. Without a unified view of the value stream, connecting disparate processes and gathering all this information is a challenge that many developers grapple with. There’s a growing need for a unified, modular supply chain that integrates all the processes of the automotive value stream. An integrated view of the development lifecycle is vital to ensuring process maturity and continuous improvement. In the fast-changing automotive technology and market landscape, being able to unify the value stream is becoming fundamental to success. implementing an overarching platform to oversee and manage all lifecycle processes and data. The combination of Tasktop Integration Hub and codeBeamer ALM provides this unified approach to engineering lifecycle management. Tasktop offers integrations with over 50 software tools including IBM RTC, Jira, CA Agile Central, VersionOne, Jama, IBM DOORS, TFS, HPE ALM Octane, Polarion, Smartbear, ServiceNow, Enterprise Architect, Bugzilla, as well as numerous DevOps tools. Using Tasktop, you can easily synchronize system-critical data between systems while retaining relationship and context information. 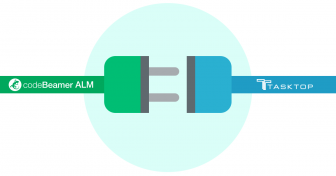 codeBeamer ALM also offers a number of built-in integrations. But its primary value in an automotive setting is that it serves as a single central management and collaboration platform for the entire lifecycle. The automotive ALM is extendable with Intland’s Automotive ISO 26262 & ASPICE Template, preconfigured with artifacts and processes to support automotive compliance. codeBeamer’s Application Lifecycle Management feature set helps you boost collaboration between teams, minimize budget and time waste, and ensure the fast delivery of high quality software. To learn more about unifying the automotive value stream with Tasktop and codeBeamer ALM, watch our webinar recording from 6 Dec 2017 below. Ready to start? Get in touch with us or start your free trial today!